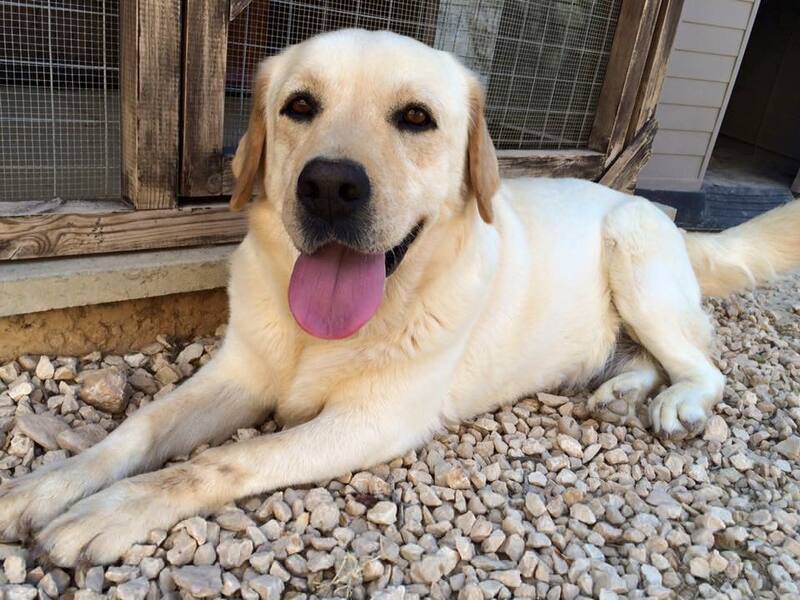 Lara is the newest addition to the family, having arrived in July 2016, and is another Cyprus rescue with ‘problems’. Lara has hip dysplasia on her left side and arthritis in her right hip. We think she has either got elbow dysplasia in both front legs or arthritis. Once her weight is reduced we’ll be able to X-Ray them. Lara shows signs of once being a loved family pet, but they got fed up with her and gave her away. She was bred from and then passed on again and was finally dumped in the hills so she couldn’t find her way home. If it wasn’t for her rescuer she’d have died of starvation, dehydration or heat exhaustion. 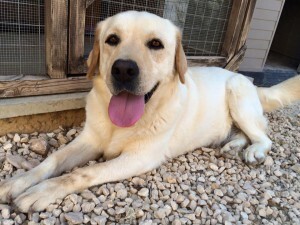 Luckily she was taken to one of the best kennels in Cyprus. Once there, Clare told Sue Nuttall about Lara and Sue tried to find her a home through her network of contacts – but no-one wanted her. Once again, Sue stepped in and privately adopted her. Lara loves her new family, especially Muscade, and absolutely adores the water, whether that’s at hydrotherapy or in puddles! If you’d like to find out more about supporting Take Away The Tears, please do get in touch.